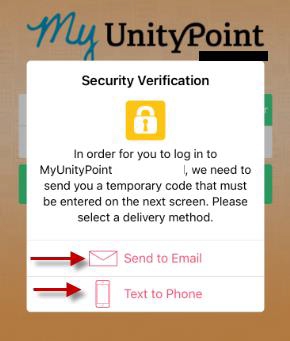 The information below will help you navigate the two-factor security verification on your MyChart App. 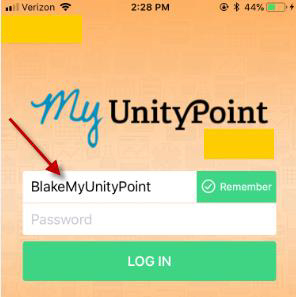 Access the MyChart app and sign in using your MyUnityPoint username and password. Enter the code you received on the second Security Validation screen. 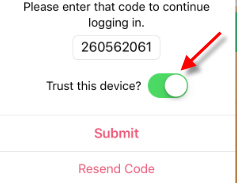 To ensure you will not have to perform the verification code process again, slide the ‘Trust this device’ so it appears green. This will prevent the verification process for 365 days (unless you uninstall and reinstall the app). 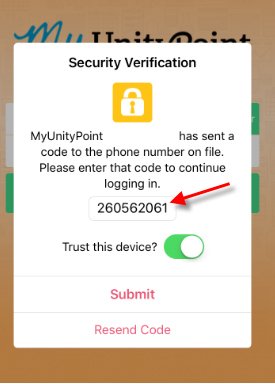 Click on the Submit button to proceed to your MyUnityPoint account.